Experienced New York attorneys must complete at least 1 CLE credit hour in the Diversity, Inclusion and Elimination of Bias CLE category of credit as part of their biennial CLE requirement. 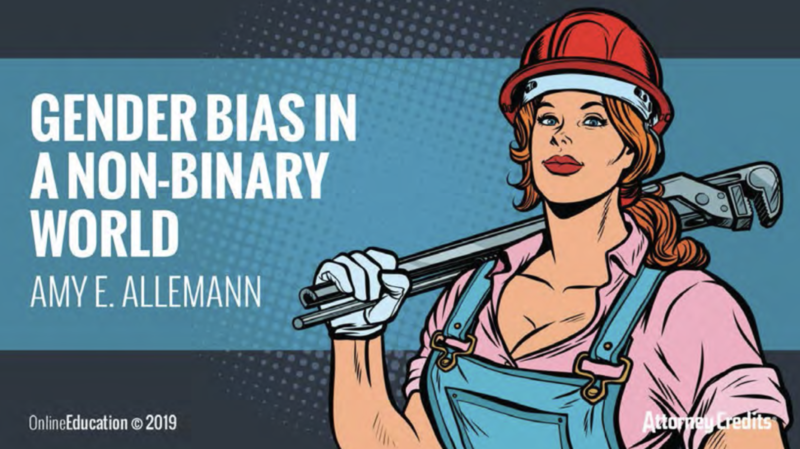 In You Can’t Change What You Can’t See, the ABA’s comprehensive report on gender bias, the main finding is that gender & racial bias continues to be prevalent in the legal community. Despite all the efforts, we have not made much progress… and now we’re headed into a non-binary future.